Arrive in Philadelphia. Guests who have booked their flights through YMT will be greeted at the airport and transferred to their hotel. On day 2 enjoy a sightseeing tour of historic Philadelphia — the cradle of American liberty. You will see Independence National Historical Park, the Liberty Bell, Independence Hall, Franklin Court and more. 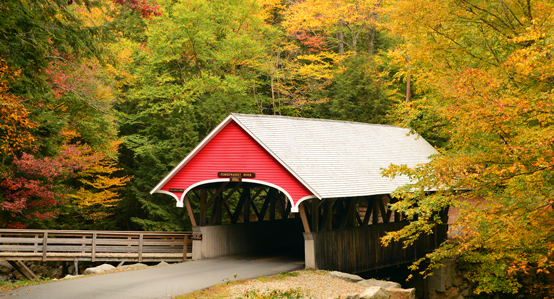 Start your tour through the colorful fall scenery of Pennsylvania Dutch Country. You will stop at an Amish outpost to learn more about this traditional way of living. 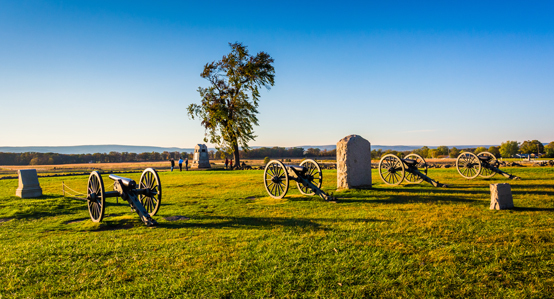 In Gettysburg you'll see the most important battlefield of the Civil War, brought to life by the stories you'll hear from your local battlefield guide. Travel north through the autumn landscapes of Pennsylvania and New York for a lunchtime stop and visit to the Corning Museum of Glass, which showcases beautiful pieces of glass art and demonstrates the art of glass blowing. Later, you will cross the border to Canada for a two-night stay at awe-inspiring Niagara Falls. Millions of gallons of water fall over the horseshoe-shaped falls every second, creating a powerful sight and sound! 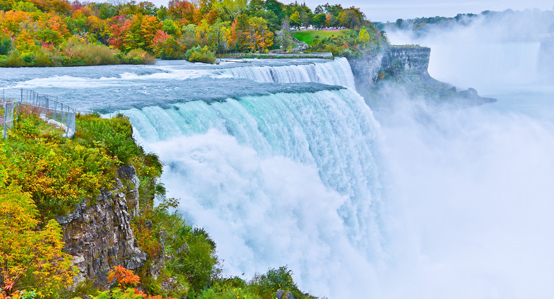 On day 5 choose between an array of optional excursions to experience the Niagara Falls even closer, including a boat tour to the base of the Falls, a "Journey behind the Falls," or a helicopter flight above the falls. After crossing back into the U.S., continue through the beautiful Adirondack region, a sixmillion- acre civilized wilderness, dotted with quaint towns and charming lakeside villages. 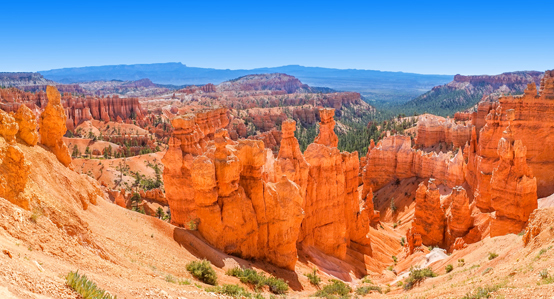 It is the largest protected area in the contiguous United States, larger than the parks of Yellowstone, Yosemite, Glacier, Grand Canyon and the Great Smokies combined. Travel along the stretches of the Olympic Byway, High Peaks Byway, and Lakes to Locks Passage - an all-American road. En route we will stop in Lake Placid, home to the 1932 and the 1980 Winter Olympics. Your day will end in the heart of the Green Mountains in Rutland, VT.
Today we travel south along the New England coast to visit beautiful and historic Boston. En route, we stop at one of the iconic lighthouses. Enjoy an afternoon city tour of Boston, where you will follow parts of the Freedom Trail and see Boston Common, Paul Revere House, Quincy Market, Faneuil Hall, Old North Church, Old State House and many more historic sites. Take some time and picture the lives of our founding fathers in the heart of the independence movement here. On day 10, after a brief stop in Plymouth where New England was first established, follow the New England coastline further until you reach the peninsula of Cape Cod. Enjoy local sightseeing and explore the history and art scene of this famous summer playground of the rich and famous. As we drive along the outer Atlantic side of the Cape, we visit Cape Cod National Seashore known for its pristine sandy beach, lighthouses and wild cranberry bogs. 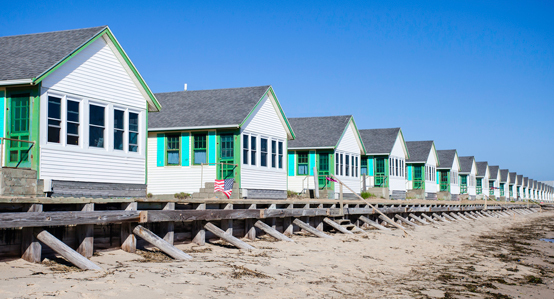 On day 11 perhaps join your fellow travelers on an optional excursion to Martha's Vineyard. En route to Connecticut, we stop in the smallest state in the Union, Rhode Island. In Newport, you will enjoy an included tour of one of the famous mansions, once home to the likes of the Vanderbilt's. Today these impressive villas are all beautifully restored and preserved by the Newport Preservation Society and made accessible to the public. Marvel at the intricate, often Italian-inspired architecture, built in the late 1800s by those with plenty of means and an eye for luxurious detail as "summer cottages" in prime locations with astonishing views. Continue south and overnight in Bridgeport, CT. Your adventure comes to an end today as you depart for home with lots of photos, stories, memories and new friends to treasure! Diane Martin was a top notch professional tour guide. She was knowledgeable about every area we visited. She gave us historical background before we visited sites. She was attentive to each tourist's needs. I would tour with her again at any cost! My group had a blast. Every moment was exciting and beautiful. We met new friends, ate our way through New England, and laughed at Diane's silly jokes! We had a professional tour guide. Our arrangements went off without any glitches. The Autumn Leaves tour was the best way to see New England in the Fall. [Tour manager] was amazing!!!!! She is very knowledgeable, personable and has a great personality. She is truly an asset to your organization...I would definitely consider another tour. This was our second trip with YMT, looking at Hawaii in June 2015. We really had a great experience on both trips. This was our first with YMT and we will see you again! We were pleased with the price/value and appreciated not getting locked into meals. Good to excellent rooms and personnel. Our Tour Manager was the best. Her personality and knowledge is what helped make the tour so good for my wife and me. She was well organized and could not have asked for more on her part. This was our first tour and we hope to go on another tour in the future with her as our guide. You definitely need to keep her with YMT. My idea of what a Tour Manager should be! [Our driver] made this tour so memorable. We were all amazed as his ability to take the bus anywhere we needed to go. Always there on time and added much enjoyment. He also played well off the banter with the tour director and people on the bus. Lots of personality. We knew about YMT through Dave Woodman who goes to our church and is a tour guide with your company. Wanting to see the autumn leaves in New England states and talking with Dave made our decision to go. We came back with many good memories and were surprised how well the 50 people on our bus got along which is due in part to the excellent job of our Tour Manager/Driver. [Our driver and tour manager] were exceptional! Timing and pace was impeccable! I was apprehensive about my first bus trip but I was so impressed! Nice job! All optional tours were excellent and worth the money. We really enjoyed the trip. Were able to see a lot of things we never would've done on our own. I had outstanding service from beginning to end. Upon arrival meeting the guides in the lobby alleviated any fears. Having bags picked up in the AM was wonderful. Now I know to take a carry on bag for the items I need to carry to the bus each day. The bus driver was always courteous and helped everyone off the bus at each stop, which was a bonus. The guides were courteous and knowledgeable about each area. The group of travelers were friendly, as well. I had a wonderful time and looking forward to my next trip in December. I have already recommended the agency. At first, I thought 14 days was too long but I found out that it allowed for a comfortable pace. I really enjoyed the whole trip. Learned and saw so many things. Made new friends. We enjoyed this trip very much. Like the itinerary and the clientele. I have been very pleased with the itinerary and the tour managers I have had with YMT. We enjoyed Monica as our Tour Manager. She is a sweet lady and very friendly & courteous to everyone. She's a good organizer. Mary Jo was a great driver. We were impressed how well she handled that big bus. We felt safe in her capable hands... We had a great time & everything was handled for us. She did a great job. I would like to praise our tour guide, Diane and our excellent driver Jim for making this a wonderful, fun and informative experience...I thoroughly enjoyed my trip with everything so well planned and minimal hassle. I look forward to my next adventure with YMT. Monica was an awesome guide - she radiates passion in her position as such. Will miss her! Overall, I'm so glad that I did this trip. There is so much history to absorb on the east coast. I'm thankful and blessed to have had this opportunity to travel and make many special friends along the way..."leave the driving to...us!" I liked that everything was laid out in detail for us. I never felt confined or restricted. I truly enjoyed the trip and will have many great memories for years. It was one of the best trips we have been on. Scott was a very excellent tour guide, he kept us entertained all the time and Betty was a very excellent driver. She knew where we were going and got us there on time. A very good trip. The planning and tours were perfect and very reasonable. [Our tour manager] was wonderful!!! Excellent in all categories. [Tour guide] was very knowledgeable about the places visited and gave us a lot of insight before arriving at the location. Excellent tour guide...We have been on three YMT tours and we have been more than satisfied with the overall experience in each one. We have been to Europe twice with YMT prior to the Autumn Leaves Tour...YMT is a great deal and we have recommended it to all our friends who are looking to travel. For our idea of travel, YMT fits our plan and budget very well. The overall experience is excellent. 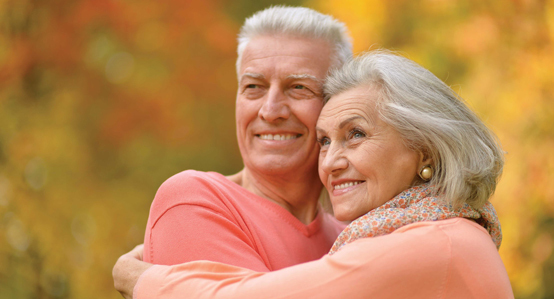 YMT has given us options as to explore on our own or use the preplanned activities. We loved [our tour manager]! She was very knowledgeable about all areas and her sense of humor was entertaining. She went above and beyond her normal duties and was on call 24/7 for everyone. We appreciated her plan of moving our seating arrangement every day so that we got to visit with different people. This was our third trip with YMT and enjoyed ourselves and the friends we made. We will definitely plan to travel with you again in the future! [Tour Manager] was very, very knowledgeable. Excellent overall experience! There are no marks high enough. What a fabulous tour manager! Her knowledge and professionalism certainly made this tour an outstanding trip. Our driver was excellent. He worked so well with the tour manager. He maintained his professionalism and catered to our needs. The combination of the driver and the tour manager certainly made this an outstanding trip. Thank you for such a wonderful trip. My mother had traveled with your group several years ago when her husband was alive. She raved about the trip, the care for the travelers and the great experience of having a knowledgeable guide traveling with the group. I was cautious, but after traveling with the group on the Autumn Leaves Tour I would certainly recommend this trip to everyone. Our driver and guide helped make this a memorable experience for my mother and I. An outstanding experience! The travel schedule was full and allowed us to stop at more sights. 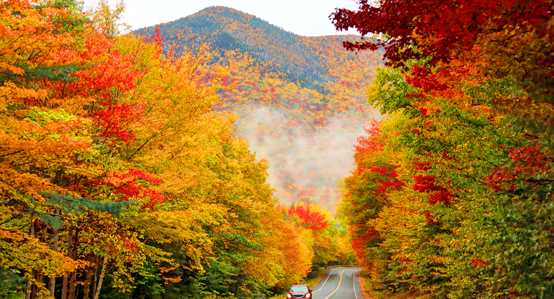 The routes provided a varied look at the New England states and great opportunities to view the colorful foliage. [Tour Manager] was very informative with lots of extra trivia and backgrounds about certain locations. His major in history was likely a good contributing factor...[Driver] was very cheerful attitude and sincerely cared about the group. She brought us close as possible to our destinations with excellent driving skills. It was nice to take several 2-lane roads and get off the interstates. Well planned trip and good value for the money. Tour was excellent! Our guide and bus driver were the best! Could not have been better!! Jim was always on hand when we arrived at the bus - never had to wait. Helped us onto the bus, helped with luggage and always on time. Love to travel with him again! This is my 2nd tour with YMT and I hope it will not be my last! Everything on the tour was well planned and enjoyable. The guide and the driver were well trained and pleasant. Planning was excellent making the tour a great success! This was my third trip with YMT?.The trips are so well planned out and time is taken every two hours or so to get up and move around. You meet wonderful people and have a fun time. We leave the driving up to you so we can enjoy the scenery. ...We were very pleased with our tour director, driver, places we saw and had a great time overall! The tour was a marked improvement over our previous experience on the 2009 Autumn Leaves tour. The included tour manager and higher quality accommodations made the tour much more enjoyable. Would consider doing another bus tour because we covered more ground than we ever could have on our own, and being dropped off exactly where we wanted to go was nice. Also having a tour director to coordinate and to give background about where we were going was great. Overall, the tour was very well organized. Never had to wait long for luggage to arrive at the room for the night. The tour manager was very pleasant and seemed to have a personable manner. Optional tours I felt were reasonably priced. Diana was wonderful; she was so knowledgeable about each destination and made sure we got a full experience of each location as possible. She is an excellent guide. [Our driver] Jim was very professional and efficient. I've been on tours with two other companies; YMT is definitely the best out of the three. 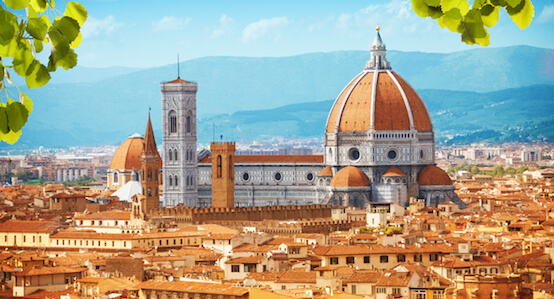 "The price is good, the tours offered are good as to the areas you travel. The comfortable motor coaches, the accommodating staff, the ease of purchasing and adding excursions [was great]. I have traveled with YMT on two tours now. Both times I have enjoyed the experience. Of the two tours, the Canadian Rockies and Alaska Tour is my favorite. The tour guide was also the bus driver and he was from the area we were touring so his knowledge of the area was great. The hotels were very comfortable and the choice of restaurants to eat were great. My husband and cousins that travel with me and I are looking forward to the next trip." Hats off to your staff. Excellent job!